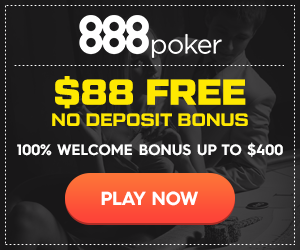 As they are wont to do, the good folks over at PokerFuse have combed the pre-downloaded graphics for an upcoming PokerStars update and have found that the next – and likely temporary – cash game on the world’s largest online poker site will be Six-Plus Hold’em. PokerFuse previously broke the news of Split Hold’em, Showtime Hold’em, and Unfold by finding table graphics before they were actually being used. The former two games were limited-time offerings while Unfold is meant to be a permanent addition to PokerStars’ lineup. I wrote about Six-Plus Hold’em two and a half years ago when it was introduced by the iPoker Network (Ladbrokes, William Hill, Titan Poker, etc.). It took root in the poker world in the high stakes cash games in Macau about three years ago and has been hyped in the time since by people like Phil Ivey. Six-Plus Hold’em is Hold’em But…Smaller? To be perfectly honest, I had never heard of Six-Plus Hold’em before the iPoker Network launched its games. I thought it might have been some crazy Omaha variation where players got six hole cards instead of four. But I was wrong. Six-Plus Hold’em, also referred to as Short Deck Hold’em, is a regular hold’em game in which the twos, threes, fours, and fives are removed from the deck. As a result, all the cards have values of six or greater, which is where the name comes from. As the deck size is smaller and the lowest cards are gone, relative hand strengths have changed. Most specifically, flushes have gotten stronger because they are harder to hit and on the opposite side of the coin, straights are weaker because they are more common. In Six-Plus Hold’em, a flush is stronger than a full house and a straight is weaker than a three of a kind. Logically, it makes sense. The new deck has 36 cards, as 16 have been removed. There are 9 cards of each suit in the deck. If someone flops four to a flush, they have 5 outs out of 31 remaining unknown cards. After the turn, they have 5 outs out of 30 remaining unknown cards. In a normal game, someone with a flush draw on the flop has 9 outs out of 47 unknown cards or 9 outs out of 46 unknowns on the river. There is a better chance in a regular hold’em game to hit a flush than it is in a Six-Plus Hold’em game. Because an Ace can still complete the top or bottom end of a straight (the “wheel” would therefore be A-6-7-8-9), a player with a straight draw still has the same number of outs they had before, but with a smaller deck. Thus, it the odds of making a straight improve in Six-Plus Hold’em. It is not known when Six-Plus Hold’em will be rolled out, but history has shown that it usually happens fairly soon after the graphics are pre-loaded.